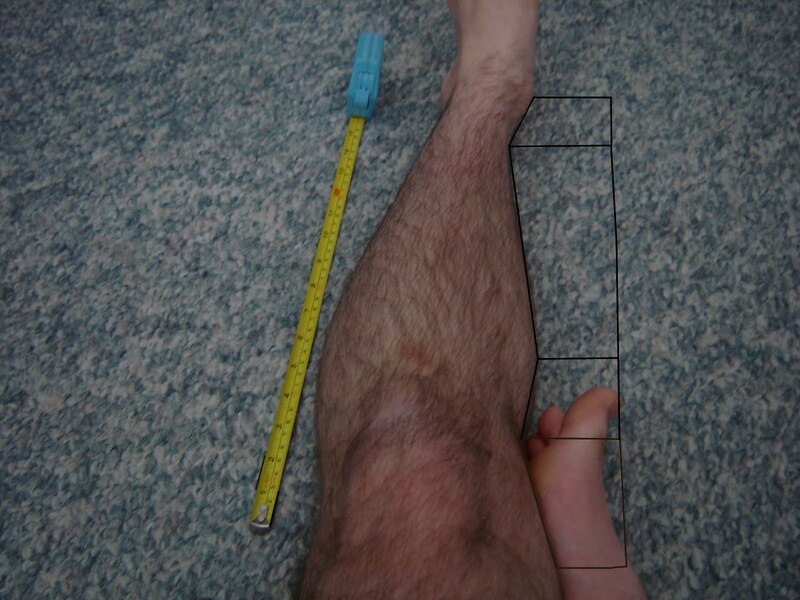 Many people have commented that their are no visible gains in the diaphysis of the tibia. 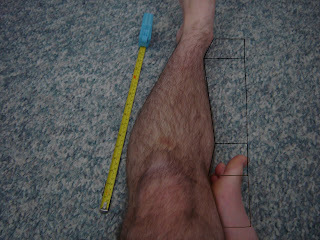 As I mentioned here, most of the gains seem to occur in the epiphysis rather than the diaphysis. People who have grown in the diaphysis like St.it likely have actively differentiating chondrocytes or left over type II collagen so that the stem cells are guided to differentiate near the shaft of the bone. 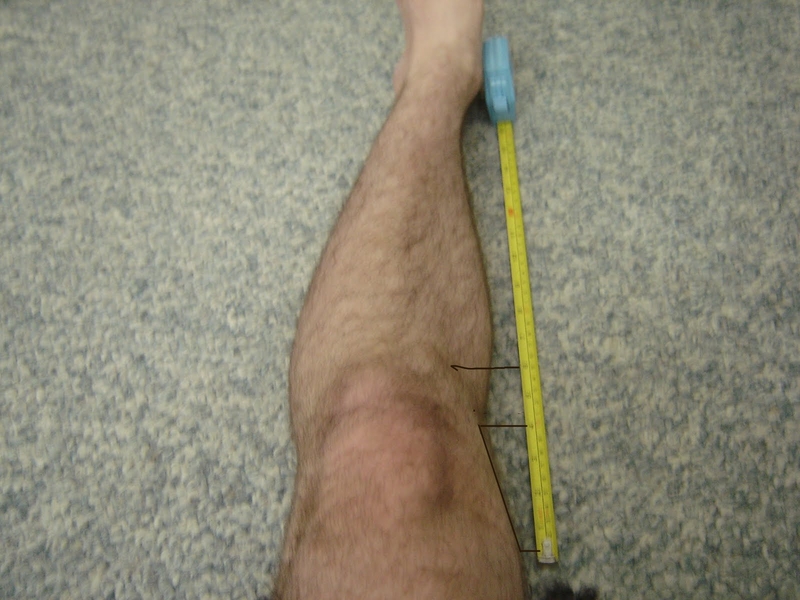 However, adults are likely to form new growth plates where there are stem cells and that's likely to be along the length of the horns of the tibia rather than at the very end of the tibia which would lengthen the diaphysis. There's a lot more epiphysis after where the shin bone forks into two pieces than before thus if stem cells differentiate at the region of hydrostatic pressure they are more likely to differentiate along the horns then in the small portion where the tibia is one piece. Growing along the horns will still make you taller. It'll be interesting to continue to progress my finger growth as that has horns much shorter than the length of the clamp so if the diaphysis of the fingers grow then it could possibly be a positional problem and you need to clamp closer to where the tibia is one piece and on the epiphysis to grow taller along the diaphysis. In this picture the calf begins at 3 1/8" and the slope changes at 0(you can't see a lot past 0 but you can still see a change in slope). 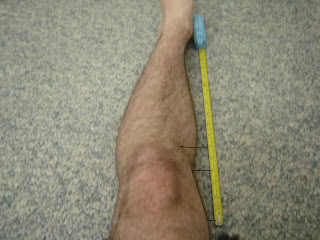 The rotation of the calf may matter so the tibia epiphysis seems to be about 4 3/4". 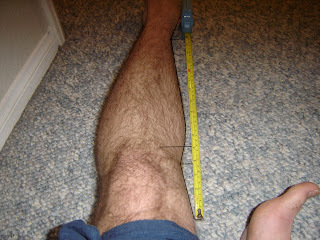 So the length of the epiphysis is 3 1/8"
An inch is about 73.8 pixels. The length of the line is about 262.3 pixels which is about 3.55 inches. The black line on the ruler is what I used as an inch. I think it's a little bit less than an inch. If you go closer to what an inch is you would get a smaller number of total inches than 3.55 so there's still a definite height gain(given that later values are closer to 4). Here's an early picture of my progress with LSJL. 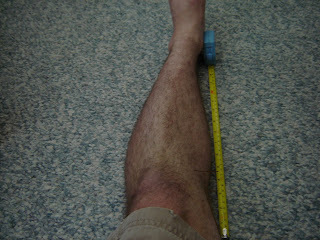 The slope changes at about 1/8" and the calf changes at about 4". So a about 3 3/8" of growth. He's a picture of me with LSJL later. Where the calf ends is at a little under 4(where the calf ends isn't quite where the epiphysis ends but it's less open to interpretation). Where the slope changes is a hair under 0. So we'll say about 4 inches. 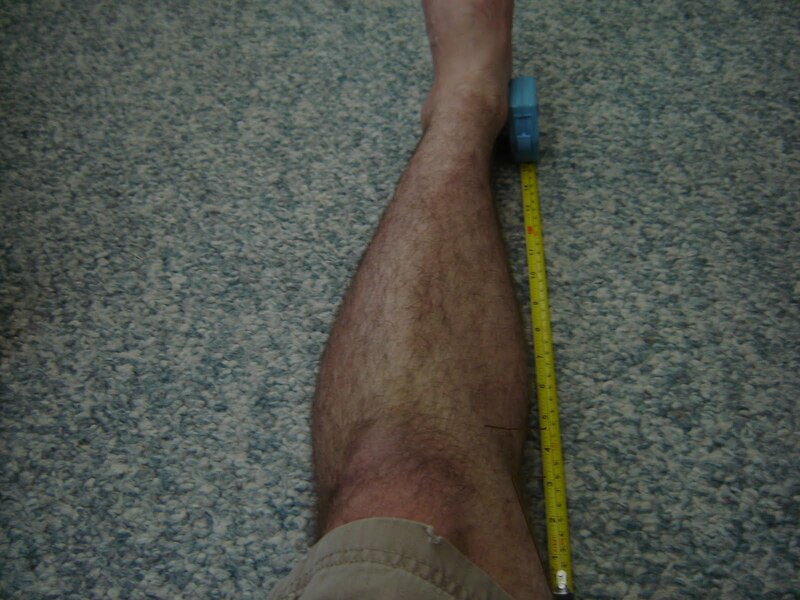 You can see that I estimated the end of the epiphysis at 6" in the earlier picture whereas I estimated it at 5 inches in the later picture which is why I dropped it as a measurement.